Just like human, Bettas also throw tantrums when they don’t like any food. So, whenever you look for the best betta fish food, you will always have to keep in mind that your Betta is quite hard to please and you need to make it happy via feeding it properly. Belonging to carnivores family, Betta needs food that are rich in protein. 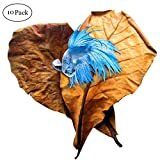 Thus, I have come up with the 10 best betta food so that you can choose the one you think your Betta would approve. 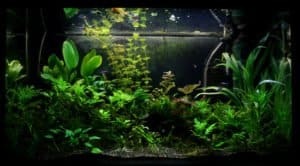 The list that I have made contains the product that are being loved by the Bettas, satisfying the owners to a great extent. Hence, I hope that the list will help you get the best food for your fighting fish and you will get approval from your Betta for liking it. Let’s Watch a Video about Betta Care Guide! In the next section I have reviewed all these items in details. People have always looked for the food that will help their fish flourish. And for this you need to look for the best food for the pet. You will find a lot of manufacturers promising about their products having quality. Out of them, Tetra is found the most trustworthy one. Their Blood Worms freeze dried treat is stated to be tasty treat that offers extra energy and conditioning for Bettas. 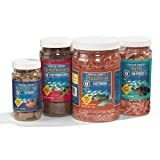 Moreover, these treats are processed and tested specially because live bloodworms contain unwelcome organisms that need to be minimized for making them a perfect treat for fish. Provides extra energy and conditioning. Sealed in a protective lid. Tight cap makes it trouble to open it. The most adorable factor about the fish is its color. And if you get a food that will work on enhancing them, it will be a bonus treat. Ocean Nutrition is found as the best betta food because it does such job. The food boosts up the natural color of Betta without clouding the water. Moreover, it uses high quality and fresh ingredients so that it can give all the nutrients to such species. Besides Betta, Paradise and Gouramis are other species that will get the benefit from the food. Enhance natural color of Betta. Uses high quality and fresh ingredients. 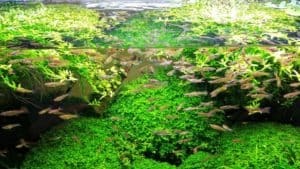 This is another premium quality betta food that you can take into consideration. It comes from the brand Tetra again and provides equal quality ingredients just like their other products. However, this food provides premium diet and you will find it nutritionally balanced. Moreover, the food will also work as the powerful color enhancers for your fish. To add more, the food contains correct amount of nutrients and vitamins to develop the immune system and fatty acids for growth and energy. Develops immune system, energy and growth. The size of the food is a bit big. Every creature tends to have their favorite food, so does Betta. Aqueon consists of shrimp and those ingredients that your Betta would love having them. Moreover, the food also delivers premium ingredients so that it can keep your fish energetic and fit. The best part about this food is that they add natural ingredients only so you will find no artificial colors. And this is the key attribute of the food as it will help amplify the natural color of Betta. Contains favorite food of Betta. Fish would face trouble finding food if the pallets sink down. The most important protein source that helps enhance fish color is Astaxantin and Hikari Betta food happens to have that. So if you get this betta food, your Betta would receive all the elements that will improve their health and calm their high stress nature. Another great thing about this food is that the pallets do not sink which makes it easy for you to monitor the amount eaten. Floating of pallets helps in easy monitoring. Improves health and calms high stress nature. Terrible packaging, as you cannot seal it once it’s opened. The foods are not meant to be the one that has the job of gulping. Well fish does need food to eat, but there are more sources of food that your Betta might need. Hence, SunGrow thought of providing Bettas Indian Almond leaves so that the fish can get healthier and reproductive. Not only that, leaving the leaves will help Betta to flourish and breed. To add more, this “fish food” is also popular to keep skin and scales of Bettas hard and smooth so that it can prevent them from getting injured and help them heal quickly. Makes the scales and skin hard and smooth. Helps them to breed and lay eggs. Water gets discolored but that’s natural. Many fish food pallets come with water clouding issues but with Omega, you won’t face it. The protein binder in this buffet pallets is not water soluble resulting a much clearer environment. So it will not disappoint you with discoloring the water. 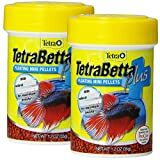 Moreover, this Betta pellets contain seafood ingredients that will surely attract your Betta to eat. Not only that, the food also provides natural pigments in salmon skin so that the color of fish gets vibrant. It does not cloud water. strong scent that attracts your fish. Includes inositol that supports health. Half of the pallets might sink. 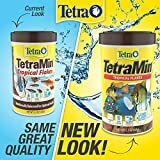 Another top quality betta fish food would be this product by Tetramin. The food has been nutritionally balanced so that it can support health. Besides, it offers an ideal diet with a guarantee of clear water formula so that your fish can digest it easily and leave less waste. Moreover, the great part is that this tropical flake food has seven different formulations for color and nutrition variation. Starting from ensuring clear water to healthy diet, this food provides everything. Keeps water clean and clear. Easy to digest and leaves lesser waste. Aqueon has always been one of the most trustworthy manufacturers in the fish-keeping world. They do not only provide great aquariums but also deliver high quality foods as well. The great thing about this food is that it aims to work on enhancing the color of fish. They provide rich nutrients with a healthy diet so that it can bring out natural colors that you would love to witness. Provides nutrition with a healthy diet. It clouds the water a bit. Although the last one but does not lessen the quality of the product. The Freeze Dried Blood worms by Omega one contains several and fresh seafood protein that will benefit your Betta. 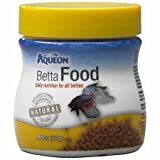 Moreover, this betta fish food comes with elements that will help to enrich color of your Betta. Moreover, the nutrition is also effective and works as a conditioning food that is highly ideal for breeding Betta. Contains great amount of protein. Disappointment for its terrible smell. 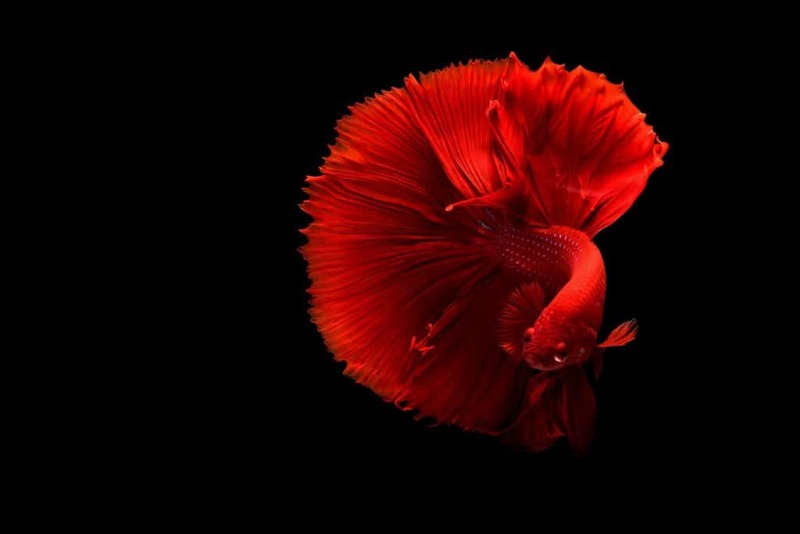 Betta fishes are commonly known as fighters for their fighting tendency since they don’t get along well with others. But there are more troubling characteristics that leave you up the creek. They are not only sulky but also stubborn when it comes to their mood. And if you see your Betta refusing to the foods you are providing, it raises a lot of questions. So, before you get freaked out, it is important to understand the reason for the refusal. Hence, this section will discuss why Betta would refuse the foods that you provide. 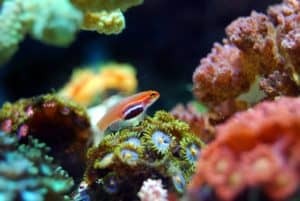 Cleaning of the tank and re homing your fish can upset your fish that causes food refusal. So if your Betta does not eat for few days after you clean the tank, that’s completely okay. Solution: Wait for few days after cleaning the water, when they will get used to the environment they will start eating food normally. Since Bettas live in warm water, so if the water temperature gets on the cooler side, it will slow down their metabolism. 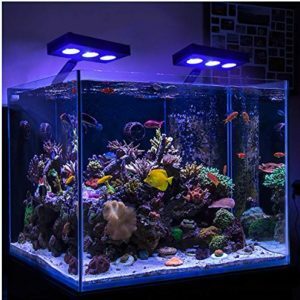 Solution: You must keep on checking the water temperature so that you can ensure that your fish is living in proper environment and eating the food you give. Get a heater for your Betta if you don’t have yet! If you have kept your Betta with other fishes, a lot of instances will come when your Betta will not eat for getting harassed by other fishes. This could particularly happen if you keep them with large or more aggressive fishes. Solution: It is always recommended to keep the Betta separate because of their temper and stress, however, if you see that the other fishes are blocking your Betta to eat food, separate it and keep it in a different tank with food for some time. Bettas are quite picky when it comes to the food. So when they do not like a certain food, they will never eat that one. Solution: You need to observe that which type of food your fish is preferring to have. 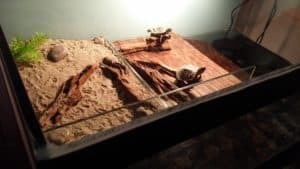 Although they might refuse to eat the food that they were used to, hence, if you see that, try feeding it a variety of foods to understand its preference. It’s common that your betta will get ill at some point, this will make them refuse the foods you give. Solution: If your Betta becomes ill, take proper treatment of it, hence monitor and intervene is also necessary. Aging is such a stage that can make anyone inactive, so if you are an owner of a Betta for longer time, and you see Betta aging, it means that they will become inactive which means that they will no more need energy from food. The first thing you should ensure is a proper habitat for your betta. Get you fighting fish a nice betta tank with proper filtration, heater and lighting. If you notice that your Betta is not consuming the food you are providing, try reducing the amount per serve. Besides, you need to remove the food from the tank that is left over at the bottom to prevent ammonia spike in the water. Then again, if you notice that your fish is gulping all the food you are providing, try increasing the portion size of the food at a time. It is recommended that you do not provide food more than the requirement. Because Betta fishes tend to become overweight for overeating. You can use an automatic fish feeder to standardize the feeding amount and routine. The bloodworms last for a good time. My betta is in love with the worms, I feed them twice a week. Although the smell is a bit terrible but since my fish loved it, so it’s fine. Our betta devours the stuff so I am satisfied with the product, But I felt the product is a bit pricey, or else it’s a good product. These mini pallets are a bit big that make my betta take a bit time to get used to them. But I’m surprised that my picky fish tries to eat it. My Betta approves the food, but eliminated a star because the pallets sink down and the fish faces trouble finding them. It is a bit disappointing that you cannot seal the lid once it’s opened, however, the product is great since my Betta loved them. Water gets a bit discolored but I don’t regret as my Betta seems thrilled to play with it. It does not cloud the water like most of other foods did, but the pallets sink down completely and my Betta could not consume it for its large portion. The foods do sink to floor but however, my Betta tries to find it and seems like it loved it. Though it clouds a water but my Betta is happy to consume the food. I have noticed my Betta is enhancing its color for this food. So I’m gonna recommend it to everyone owning Bettas. Q: How often should you be feeding Betta foods? A: You should feed your Bettas about 1 to 2 times a day. It is never a good idea to overfeed them since their stomach’s size is roughly the size of their eyeball. So if you provide food to your Betta once a day, ensure that you give 4 pallets to it. If you are feeding bloodworms, you can drop 3 to 4 worms per day. Q: What types of Betta fish foods are available? A: One of the most mainstream types of foods you will get is floating pallets. You will get them in different size, so you need to ensure selecting the one that would be the best for your Betta. Besides, this you can try out Bloodworms, Betta flakes, Freeze dried shrimp, daphnia to feed them to your Betta. Q: What does Betta fish food contain? A: Since bettas are carnivores, they require high amount of proteins. Hence, the food that is basically for Bettas contains a lot of protein, it does not only give nutrition but also enhance the color of your fish. However, different types of fish food contains different ingredients, so it completely depends on what Betta food you are providing. Watch this awesome video created by Taylor Nicole Dean about betta fish care. Very informative and well explained. Foods are always an important part of all the beings. And being an owner of a betta, it is your responsible to feed it properly. Proper foods work in the development of their energy growth and color. And the products that are given above have successfully impressed both the betta and it’s owners with their service. Hopefully, it will be liked by your Betta as well.